low on chips? dese brass tags look like da gold stuff but won't make you broke. 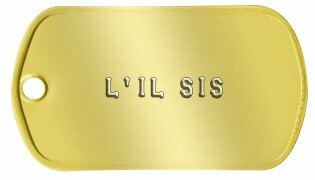 Customize to Buy your Ghetto Fabulous Dog Tag now! Yo dese ain't got no ice, but dey be tight, get a killa dawgtag fo yo' swag. 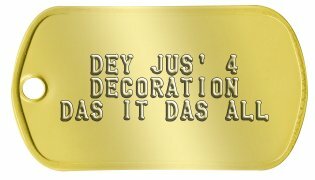 Military style gangsta hip hop bling dogtags. All orders are shipped within 1 business day and are usually delivered within 1 week (in North America). 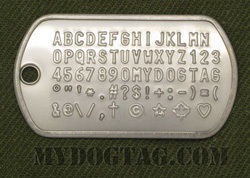 If you need any assistance creating or ordering your Ghetto Fabulous Dog Tag please contact us directly, we are here to help!